Size: It attains a maximum length of 10 cm. 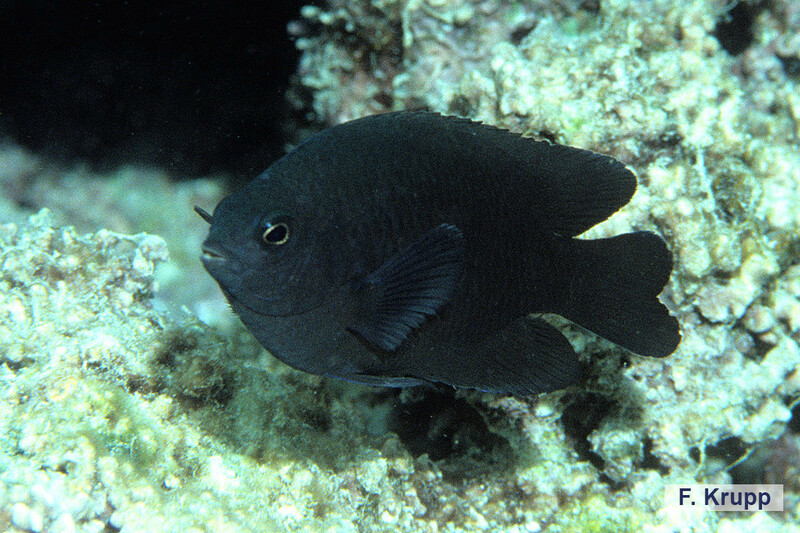 The Dark Damsel inhabits coral areas and rocky reefs, from very shallow water above the reef flat down to 15 m depth. It occurs as solitary, territorial individuals, and is oviparous with distinct pairing during breeding. Eggs are demersal, adhere to the substrate and are guarded and aerated by the male. 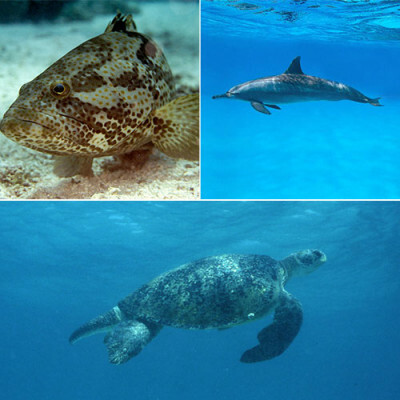 The species occurs in the Western Indian Ocean, from the Red Sea and eastern Africa in the west, to the Arabian Gulf in the east. It has not yet been assessed globally by the IUCN Red List of Threatened Species. 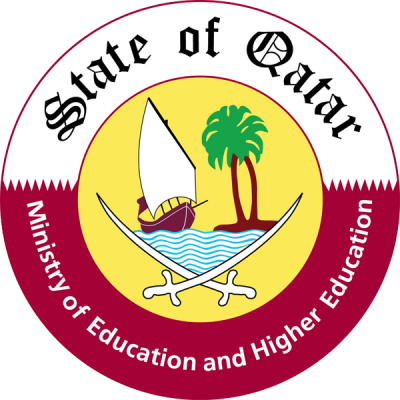 In a recent regional assessment for the Arabian Gulf it was classified as Endangered (EN), because of declining coral areas. The body is moderately deep and compressed; the mouth small and terminal. The caudal fin is forked. Large adults are dark greyish brown to blackish, the scale edges are black, and there is a black spot mid-dorsally on the caudal peduncle. Juveniles of about 3 cm in length are yellow with two narrow bright blue stripes dorsally and a large blue-edged black spot at juncture of spinous and soft portions of the dorsal fin. There is a small blue-edged black spot on the caudal peduncle.